Early morning proceed to Sidhatek. 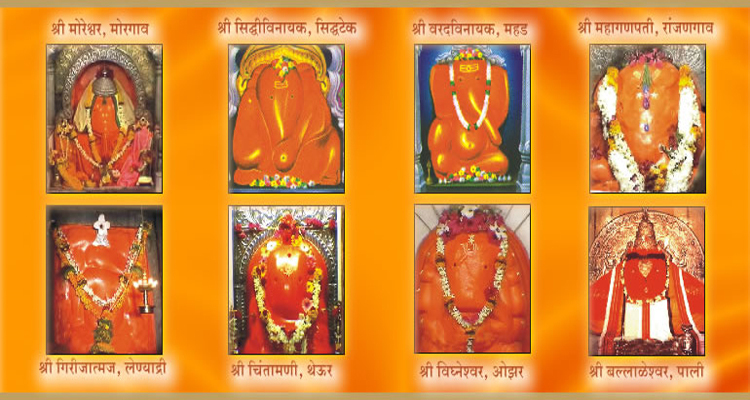 Arrive at Siddhatek get darshan (Sidhivinayak) than proceed to Morgaon. Arrive at Morgan proceed to darshan (Moreshwar).Proceed to Jejuri. Arrive at Jejuri get darshan (Khandoba). N/H Jejuri. Early morning proceed to Theur. Arrive at Theur get darshan (Chintamani). Proceed to Mahad. Arrived at Mahad get darshan (Varad Vinayak). Proceed to Pali & get darshan (Ballaleshwar). Than proceed to Bhimashankar Darshan (Dakinyam Bhimashankar Mahadev).Night proceed to Ozar. N/H Ozar. Early morning get darshan Ozer (Vigneshawara).Than proceed to Lenyadri darshan (Girijatmaj). Proceed to Ranjangao darshan (Mahaganpati) . Proceed to Aurangabad. Mid night arrive at Aurangabad. Tour Endsssssssssssssssss………….! 1 night stay in Ozar.